Sony’s newer cameras have been offering an in-camera HDR (high dynamic range) function. When you select this “auto HDR” mode, you can also set the EV (exposure value) range from 1 to 6. This is a total range and not the spacing between each of the 3 images it will shoot. So far, I’ve just been using the 6 EV range and been quite happy with the results. When this mode is selected, the camera takes 3 quick images with the proper over/under exposure values and then combines them, automatically, to produce an HDR image. One nice thing it also does is to save the normal exposed image in addition to the HDR. This allows you to have at least the normal exposure in case you’re not pleased with the HDR. At first, I was skeptical and then not particularly impressed with the output. The images had a flat look that seemed to lack contrast and color saturation. However, as I began to work with the HDR images, I found that just a bit of post processing could correct that. And, in retrospect, it actually makes sense. The HDR image was doing what it was supposed to do … i.e. save the highlights and shadows for you, such that the detail information was preserved. In this sunrise image, the auto HDR worked great. It preserved the detail in the brighter clouds, didn’t allow the sun to be completely blown out, and also saved the shadow detail in the trees. It seems, the more I use it … well, the more I use it. 🙂 What I mean by that is that as I become more adept at working with the HDR image it produces, I find I am more likely to use that feature. There’s really not much to lose – if the auto HDR doesn’t produce for me, I always have the normally exposed image to work with. So, if you have an NEX-7, give it a whirl – I think you’ll like what you see! Got some new or newly updated photo software? Take another look at some of your old images – you might be surprised at the new possibilities and capabilities. As photo software evolves, the options for photographers to enhance their images in new and interesting ways also improve. 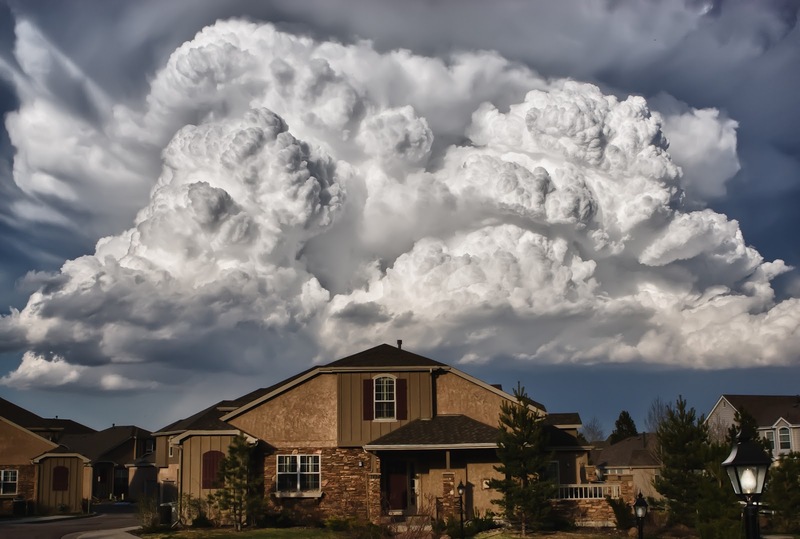 I was going through my images and came across this image of a huge approaching thunderstorm hovering just above and behind my home in Colorado. I had, of course, already done the basic editing by adjusting exposure, color, and contrast but felt it needed something more to really bring out the drama of the scene. I decided to run it through Nik’s HDR Efex Pro even though I only had the single exposure. HDR Efex did a wonderful job of dramatically increasing the texture in the clouds to reveal the turmoil that was taking place a few thousand feet above us. So, every once in a while it’s worth our time to take another look at our images and consider how some new bit of software might enable us to improve on what’s already been done. 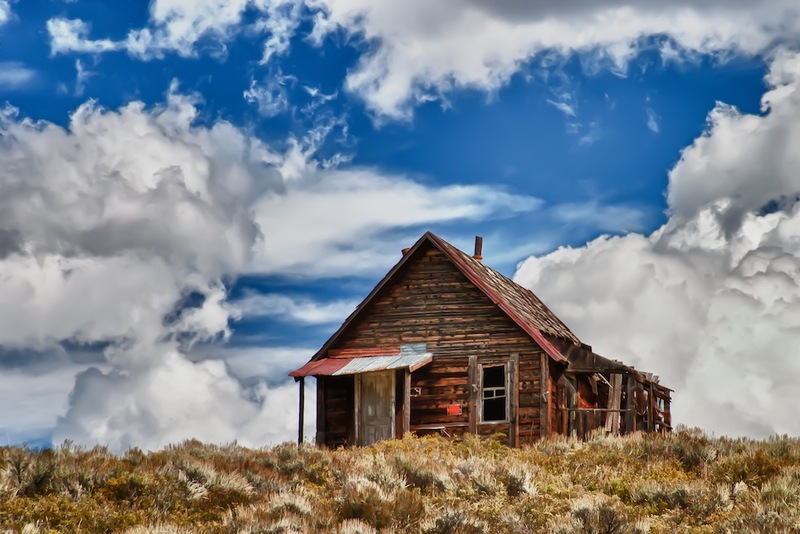 I found this old shack on a hill, not too far from Crested Butte, Colorado. Actually it’s near Taylor Park Reservoir, situated about equi-distance from Crested Butte, Gunnison, and Buena Vista. At the time, I was just too lazy to walk up closer so I used a telephoto lens for this shot. The “unplanned” result was this compression of distance, making the clouds look like they’re right on top of the shack. This is a single-image HDR using Nik HDR Efex Pro. The processing in HDR Efex is what helped to really bring out all of the texture in the image, especially the clouds. 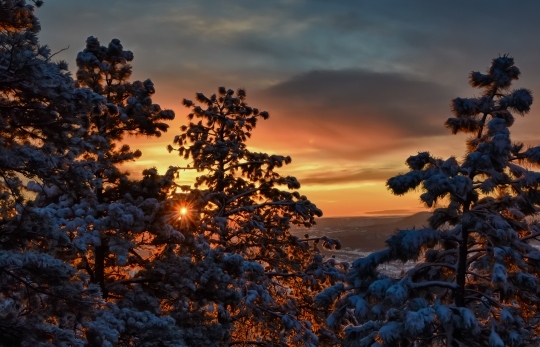 A while back, I was treated to a spectacular, fiery sunrise the morning after a few inches of fresh snow softly coated the pines near home. Here was a golden opportunity to try out some HDR (High Dynamic Range), using the Nikon D7000. So far I’ve been thrilled with the results from this camera, finding it to produce very clean images with low noise at reasonable ISO’s. One of the things I’m really liking is the ability to save settings to two of the positions on the mode dial: U1 and U2. I haven’t tried everything but I’m happy to report that you can save your AEB (bracketing) settings and even other positions on the mode dial. For instance, when I select U1 now, the camera is set to the Aperture Mode and is ready to shoot 3 bracketed images with 2 EV spacing – quick and easy! Once the images were downloaded, I used Nik’s HDR Efex Pro to create this image. In this case, I was only able to use two of my bracketed images and was surprised and pleased with the result. HDR Efex Pro is a great addition to the software possibilities available for HDR work and gives you a good number of presets to choose from, plus it has Nik’s proprietary U-Point technology as one of it’s tools.